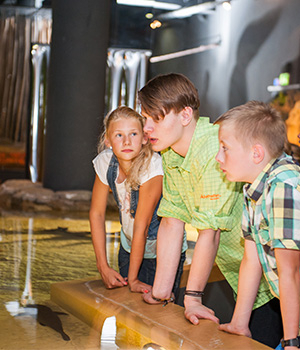 The Klimahaus Bremerhaven 8° Ost is a mixture between a science center and theme park. 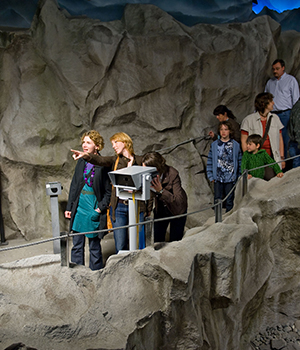 It shows a unique world of weather, climate and climate-change knowledge and experience, also making it a climate museum.Travel the world along the eighth longitude and experience the earth’s climate zones close up – exciting and spectacular. You will cross five continents and nine locations. You will sweat, freeze, marvel and laugh, and above all, meet people from around the world who will talk about their everyday lives and describe how the climate affects them. Leave A27 at Bremerhaven center. Follow the directions "Havenwelten". What should I wear? How long is my ticket valid? Find answers! YOU WILL FIND OUT IN THE "Perspectives"
The Klimahaus offers a special service for tour operators, as we are more than happy to help you plan your trip. As an extracurricular place of learning, the Klimahaus provides the opportunity to actively engage with the causes and consequences of climate change. Here, your class trip becomes a journey around world! The Klimahaus offers a perfect location for every occasion. How about a beach party in the South Pacific? Or perhaps you would like to have a festival in the Alps? One could even take a culinary journey around the world. 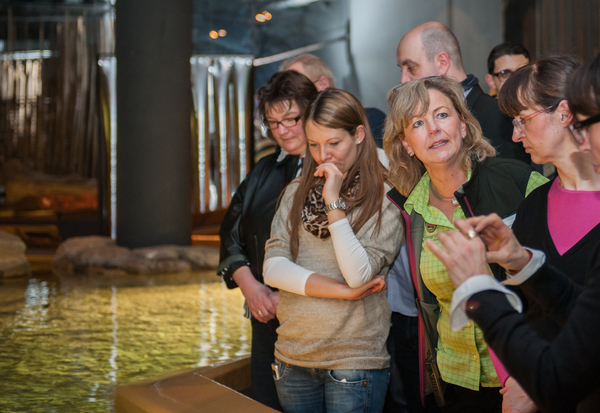 Whatever the event, the Klimahaus offers a special setting! 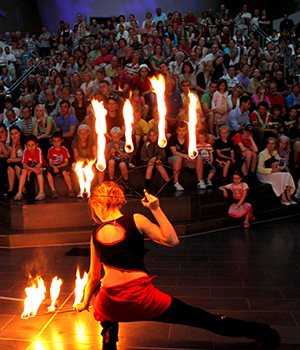 The Klimahaus Bremerhaven 8° Ost is an ideal destination for groups, clubs, and societies. Experience it for yourself!